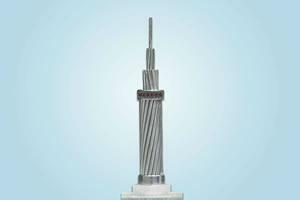 The aluminum conductor aluminum clad steel reinforced uses the aluminum clad steel as its core part and high purity aluminum as conductor. 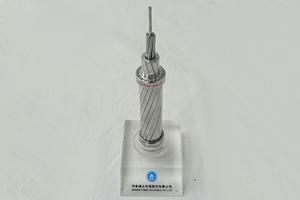 It features corrosion resistance, low resistance (LR), high tensile strength and so on. 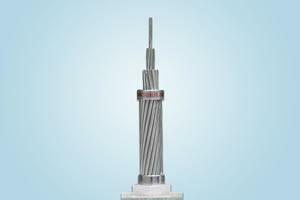 It is used for power transmission lines with large span length and high power. 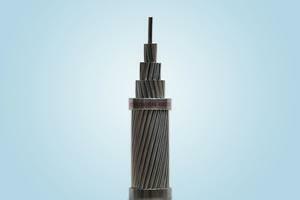 In addition to the conventional stranding, the ACSR/AW has one-layer or multi-layer reinforced conductors that are made of aluminum clad steel wires. In different widths of aluminum conductor steel reinforced, the aluminum conductor aluminum clad steel reinforced has its inner part made of aluminum clad steel, with the aluminum wires stranding around the core in a spiral manner and according to a certain rule. Having the advantages of corrosion resistance, high electric conductivity, etc., the ACSR/AW is ideal for overhead power transmission lines. 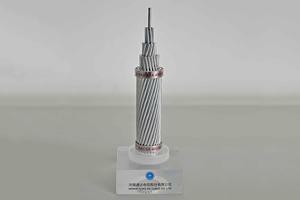 With huge market potential, it is used for high-voltage overhead transmission lines installed under highly corrosive environments, electric railways, and so on. ACSR / AW is identical to conventional ACSR with the only difference in the core where AW (aluminum clad steel) wires are substituted for galvanized steel wires. In many instances when compared, it has better properties than the conventional conductor.